A common hurdle for many people thinking about investing in property is trying to understand how it might fit with their lifestyle and their budget. 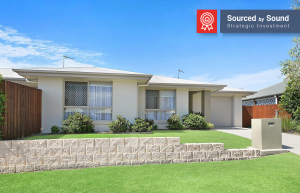 The Sound Property Cashflow Calculator is a user-friendly tool for residential property investors, designed to show the relationship between the rental income on one hand, and the operating expenses, such as interest repayments, on the other. It’s a powerful tool with ten property calculators in one that enables investors to ‘try-on’ an investment property and get comfortable before making a purchase. The estimate can then be discussed with their other advisors, such as their accountant, to see how it fits into their overall position. If you have been thinking about investing in property, we encourage you to utilise this free tool and hope you find the cashflow estimate useful. This article is provided for general information only and does not constitute personal advice, as it does not take into consideration your personal circumstances. Please consult a licensed tax or financial advisor before making any decision to invest. Past performance is not a reliable indicator of future performance.